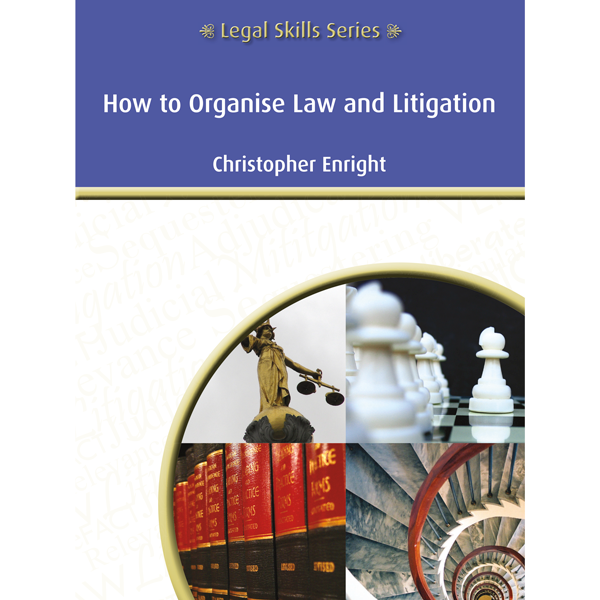 Macro organisation: This involves organising an area of law in a law subject or in a statute. It is the key to obtaining a general understanding of it by knowing how the piece of of the area of law fit together. Micro organisation: This involves organising a legal rule. Most legal rules have a standard structure. They have elements which define the types or categories of facts to which the rule applies. Then the rule applies to facts it brings consequences. Litigation that involves a dispute of fact has a simple structure. A paintiff's case rests on a rule that gives them a right to sue if they can prove the facts that fall within the categories that the elements of the rule delineate. Each element has to be matched by a fact of this kind. Each fact that is disputed has to be proved by evidence. A similar structure applies to the remedy that the rule provides to a successful plaintiff.